As mentioned in yesterday’s post, my mother and I were lucky enough to get a package deal during our stay at the Queen’s Landing hotel in Niagara-on-the-Lake, Ontario. After spending half the morning exploring the little boutique shops of the main street, we hopped into our car and toured to the three main destinations provided as a part of our Niagara experience. As a self-described tourism nerd, I was fascinated by the logistics of this semi-packaged experience (so-called because although we were offered a bundle of services under one inclusive price, we had to transport ourselves between each portion of the tour). The beauty of the package provided by the hotel was that each stop was within easy driving distance and organized so that we explored each option thoroughly before moving onto the next. We thus experienced a full day of activities in Niagara-on-the-Lake and headed back to Kitchener with a ton of great memories. En route to home, my mother commented that it was a ‘hedonistic‘ package deal because we drank wine and beer before enjoying delicious chocolate; our usual regime of healthy foods went right out the window before these tasty offerings. 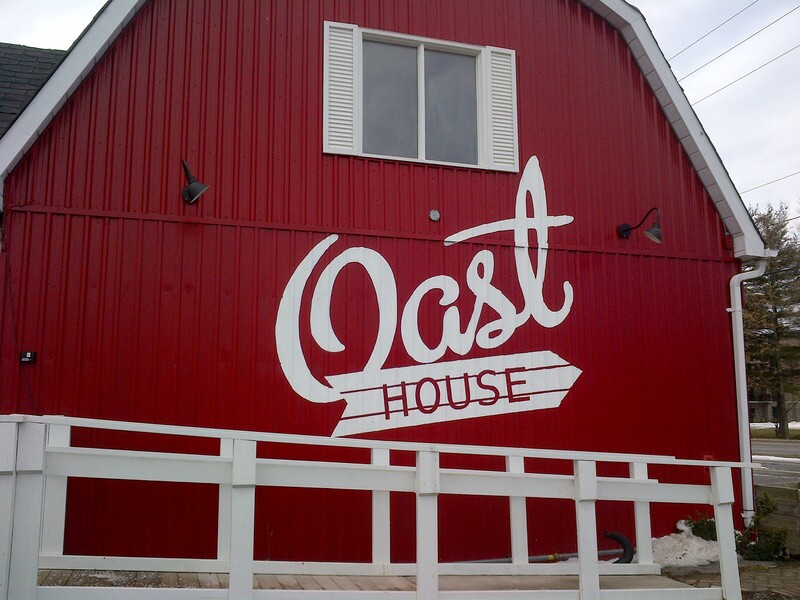 Our first stop in the tour was to the Niagara Oast House Brewery; we were both offered samples from their collection of craft brews when we presented our ticket from the hotel. I enjoyed my beer samples so much that I purchased two sizable bottles of their Barnraiser Country Ale. 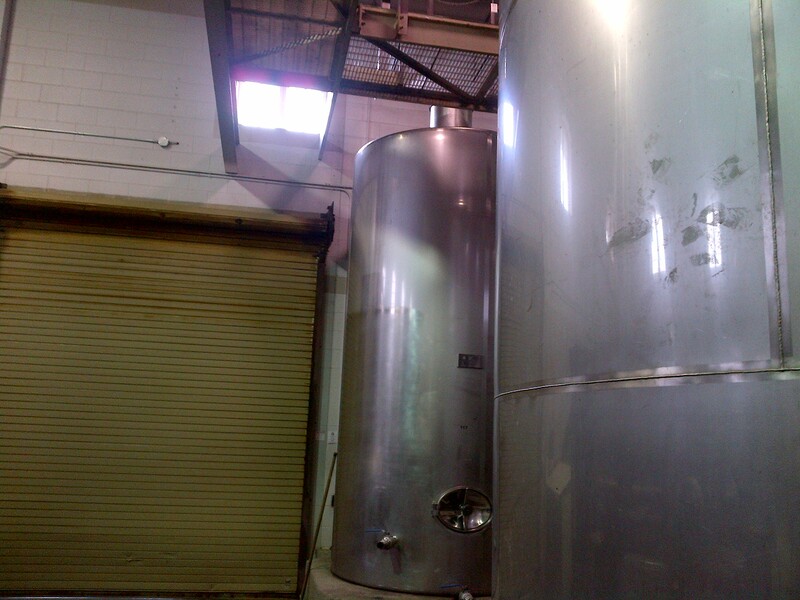 The building in which this microbrewery is located is also a fascinating piece of Niagara-on-the-Lake history, having gone through various permutations as a schoolhouse, post office, and farm market (Niagara Greenbelt, 2014). Our second stop was to the Chocolate FX factory, which offers retail chocolate as well as shipping chocolate products across North America. Truly, we were ‘kids in a candy store’ – their chocolate tasting bar allowed visitors to sample (for free) each of the chocolate products available. We dallied in front of this delicious buffet until the tour started. Tours are offered daily, every hour after 10am. During the tour, we got to peer in the windows at the factory, where about 20 people labour away to produce various chocolate offerings. 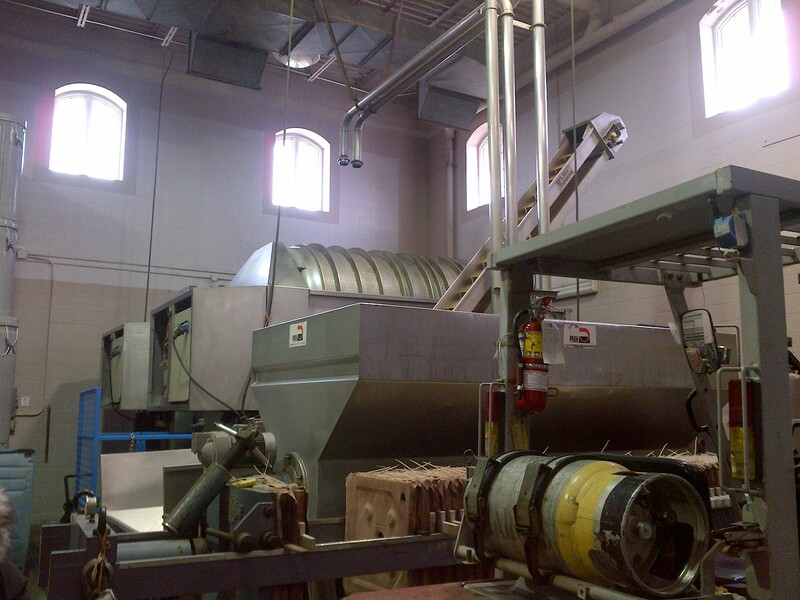 We also learned about some of the particulars of how chocolate is made, and the tour ended with your choice of a complimentary chocolate-dipped strawberry or chocolate truffle. 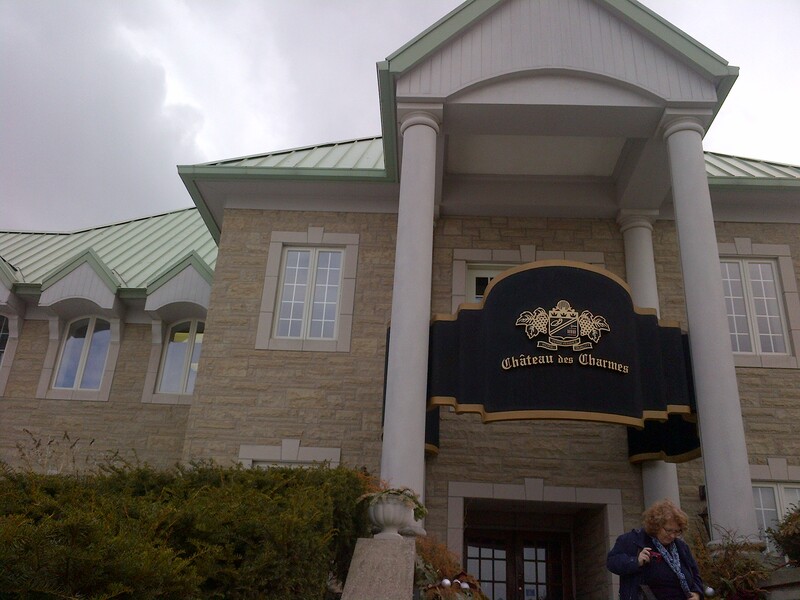 For our last stop, we proceeded to the Chateau des Charmes, a family-owned winery with a long history in the Niagara region. Our ticket from the hotel offered both my mother and I a tour of the wine production process, which we thoroughly enjoyed. 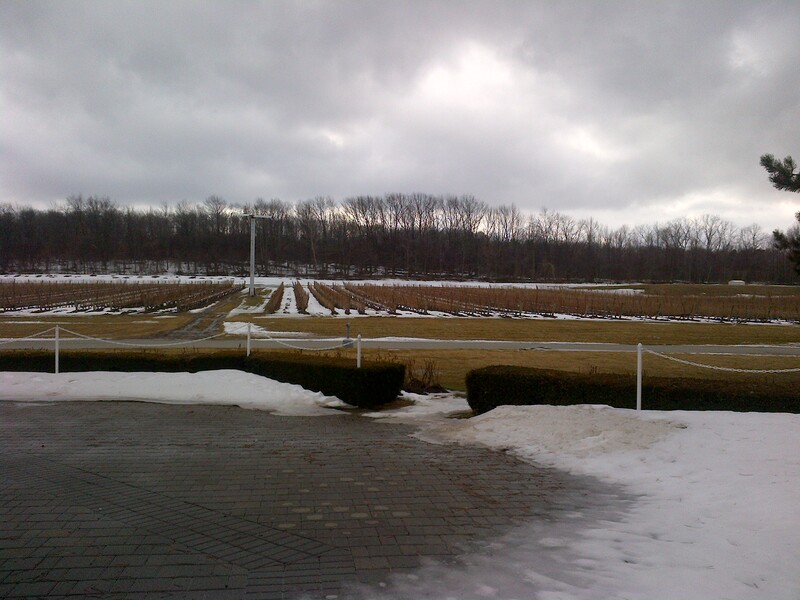 Many of the production practices of the Chateau des Charmes are based on French winegrowing. 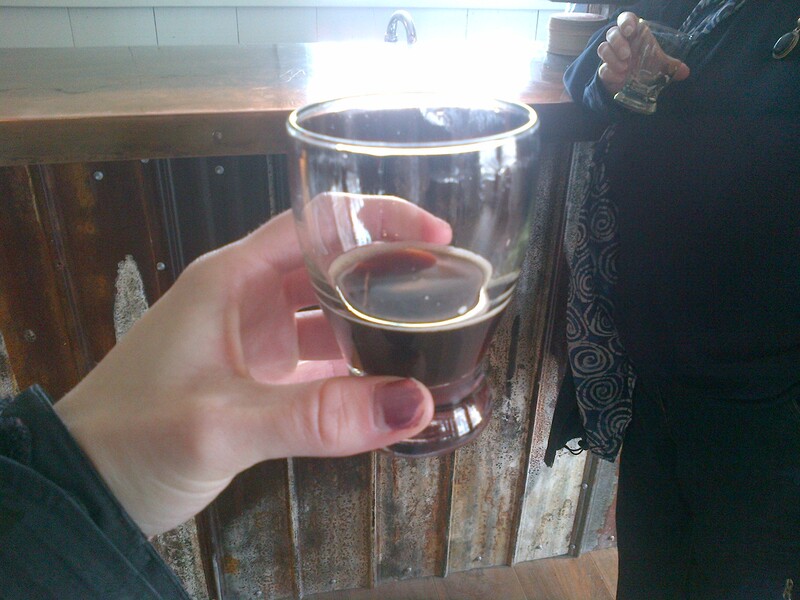 Our knowledgeable tour guide finished the tour with a demonstration of how to sample wine. 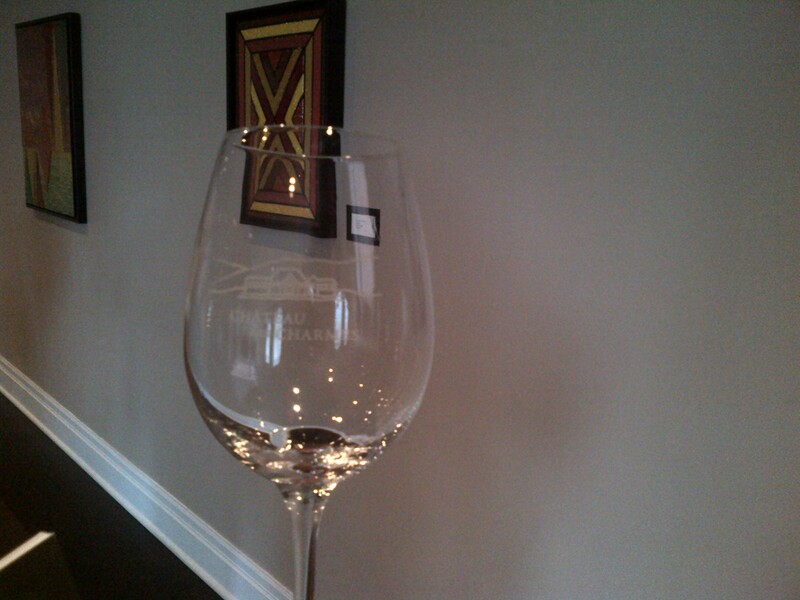 We were taught to hold up our wine glasses to the light, swirl it to test its ‘legs’, smell it, swish it around in our mouths, and finally sample it. We got three different wines to sample (each of them progressively darker and heavier). I include pictures of each of these stops, below. I hope that this description of my package tour experience piques your interest in visiting the Niagara-on-the-Lake region, and package tours in general! Happy travels! Fields of grapes growing for wine. Oriented North-South for best light. 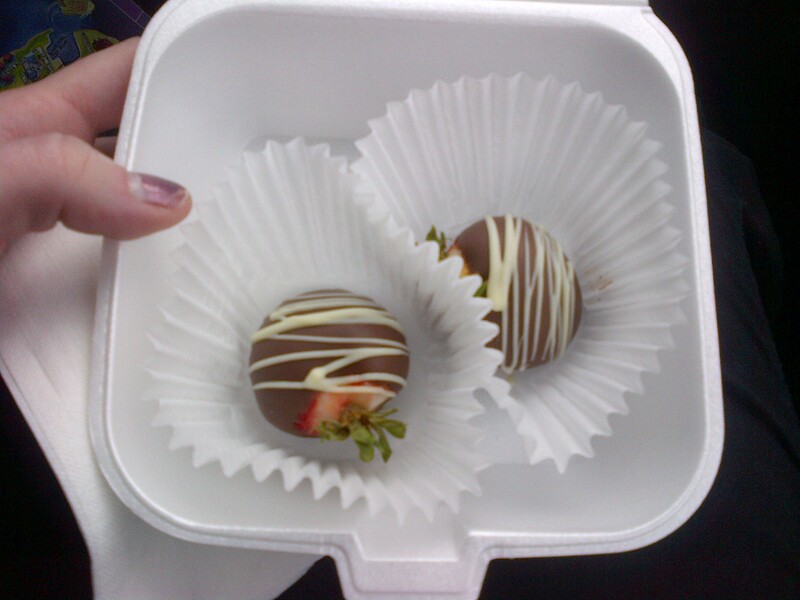 Our chocolate-covered strawberries, provided post chocolate tour. 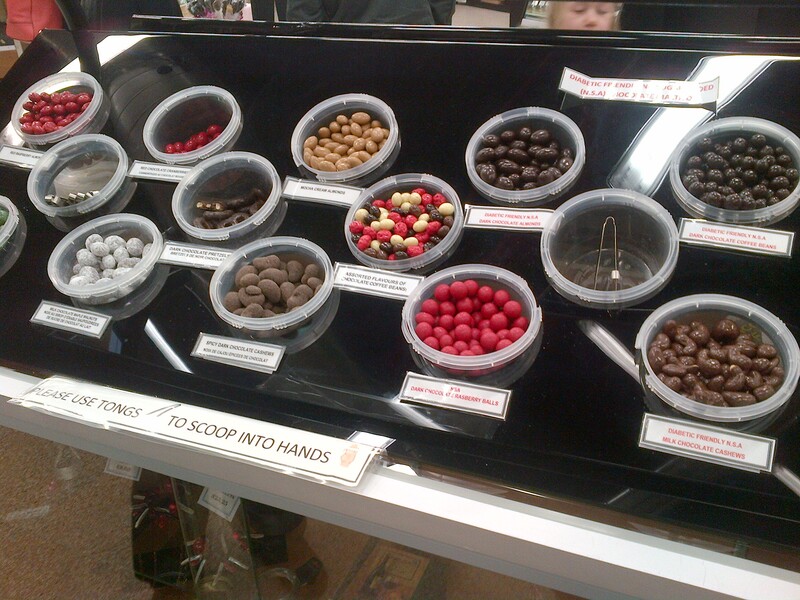 The samples of chocolate available – for FREE!! 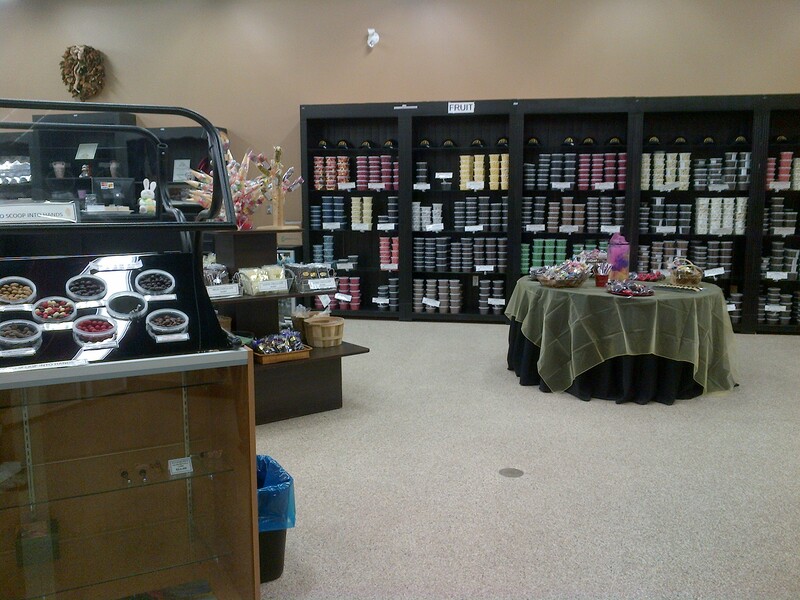 Inside the Chocolate FX retail store. A finished glass of wine equals a happy sampler! The front of the winery. The building for the Oast House Brewery. 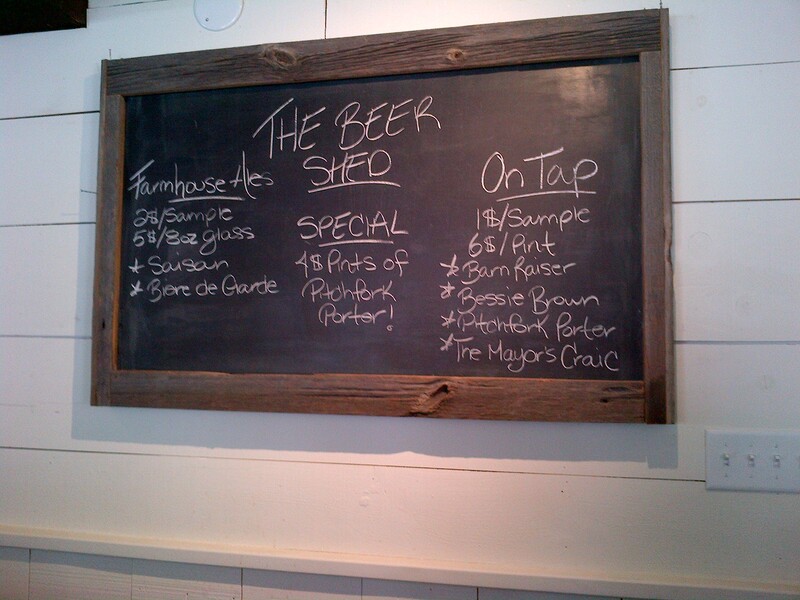 Samples available from Oast House Brewery. 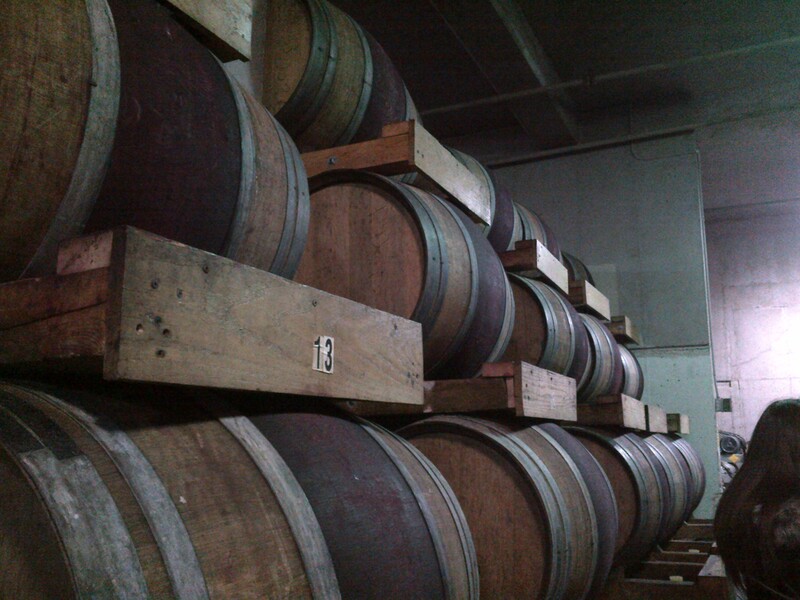 Barrels for aging the wine. 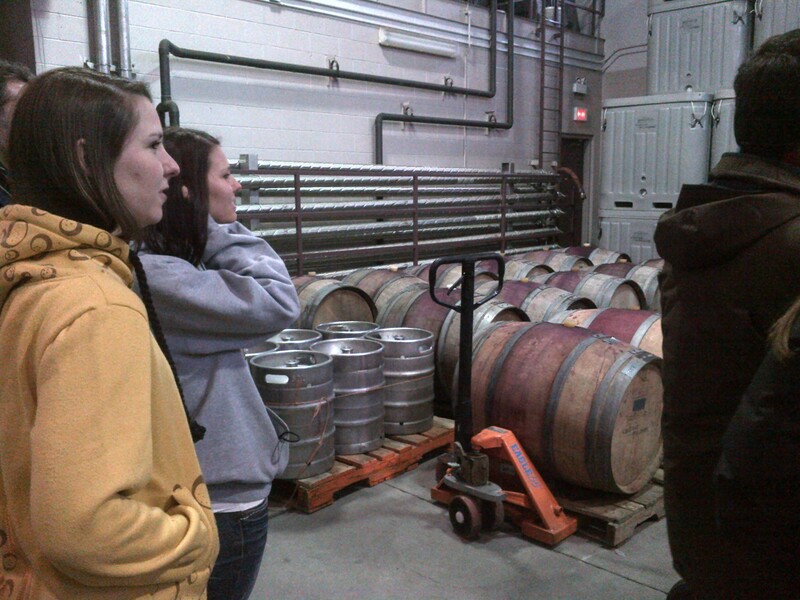 On our wine production tour. Next Post I’m Over [Blank] Age and Still Learning!